As environmental issues become more prominent on the national radar, city leaders are under increasing pressure to go green. Manchester has been one of the most forward-thinking cities in the UK when it comes to becoming environmentally friendly. It is widely recognised that technology is one of the best tools available to tackle issues like climate change and carbon emissions, and Manchester has been utilising this to design a green future. One of the biggest contributors to global warming is harmful emissions from transport. City centres are often congested, with toxic fumes affecting air quality, causing smog and harming the environment. In order to address these issues, Manchester has enacted major transport improvements across the city. The Clean Air Greater Manchester initiative has been set up to tackle air pollution, which has become the biggest environmental risk to public health in the UK. Walking and cycling are the most eco-friendly ways to get around a city and Manchester has encouraged this through traffic-free cycle routes, free bike riding classes and major investment in cycling infrastructure. Manchester is investing £500 million into delivering a walking and cycling network which will cover 1,000 miles around the city. Public transport is much better for the environment than an individual driving a car, so Manchester has heavily invested in improving its public transport services. 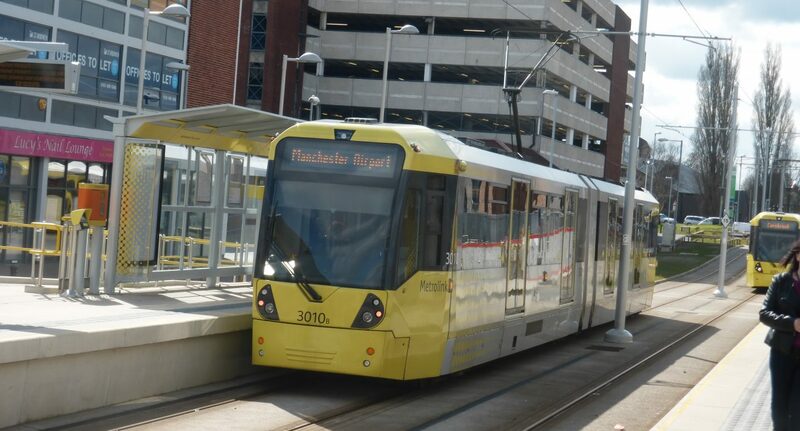 Manchester’s award-winning tram network, the Metrolink, is one of the city’s main public transport networks. Trams themselves are better for the environment, and Manchester has been taking further measures to make sure their trams are green for the future. Around 70% of a tram’s power comes from wind or solar sources, and the rest is from other environmentally friendly sources like recycling waste, water power, and wind. With no exhaust fumes, efficient steel wheels which are recycled after use and the ability to carry a large number of passengers, Manchester’s trams will be vital in turning the city green. Improvements to bus services have also been implemented, as well as a Congestion Deal which should upgrade junctions, tackle bottlenecks, and reduce air pollution hotspots. Another important aspect of Manchester’s green plan for the future is new residential developments. In order to reduce transport emissions, many new developments have been planned with good access to public transport services to reduce car travel. New build and off plan developments where sustainability is at the heart of the project are becoming far more common in Manchester. One example of these eco-friendly development projects is West Point Manchester, sold by RW Invest. This high-end apartment building features low carbon technology, solar panels, an air source heat pump, underfloor heating, a heat recovery ventilation system, and 100% energy efficient LED lighting. City centre eco-friendly apartments are in high demand from young professionals who take environmental issues seriously. To make sure their lifestyle is as sustainable as possible, choosing eco-friendly rental property is becoming a higher priority than ever before. Smart technology is also a major way that Manchester is addressing environmental concerns, which are being demonstrated as part of its Smart City programme. A constant stream of data about heating, ventilation and cooling systems in the centre allow the project to monitor how the city uses energy and develop energy saving strategies. By cutting down energy waste, and using data to create smart solutions, the city’s energy consumption should be significantly reduced.